What you can expect at the continent’s biggest conference and exhibition this year from 25 to 27 February 2019 at Sandton Convention Centre. 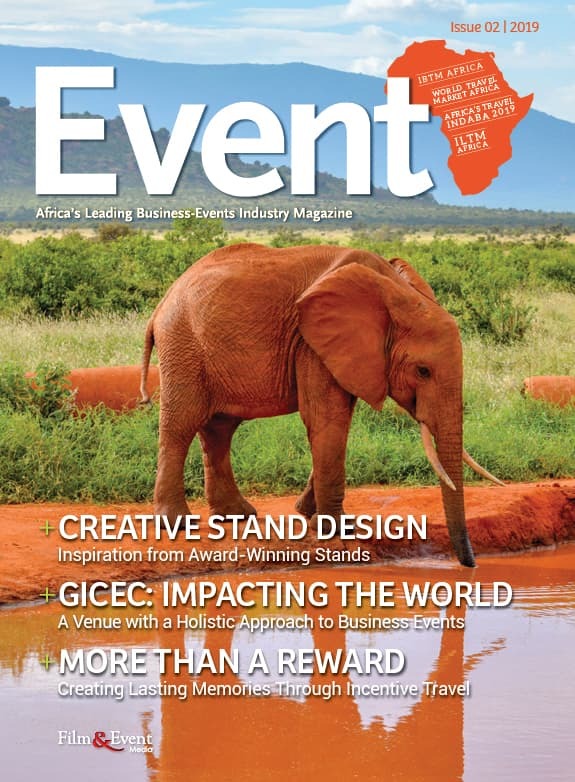 If last year’s show is anything to go by, Meetings Africa has solidified itself time and again as the go-to business event of the year for the African continent. Meetings Africa 2018 hosted 306 business tourism exhibitors represented by 21 African countries, with 65 of these exhibitors from outside South Africa. 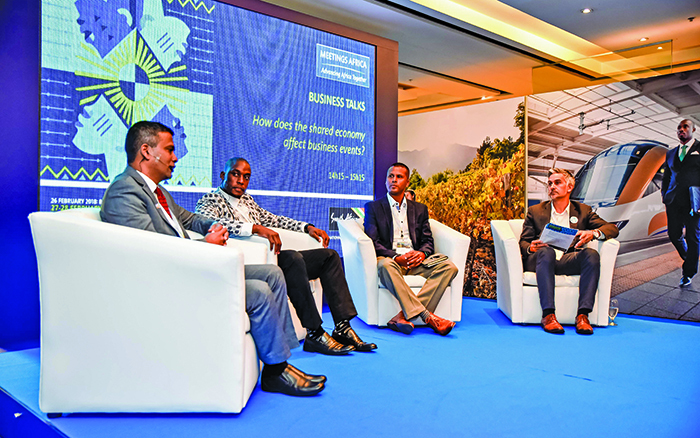 The show also hosted 154 business and trade media representatives from across the continent and globe, and attracted 3 000 delegates who came to seal business deals, explore African products, and forge new networks in the international meetings sphere. The Meetings Africa programme is always chock-full with meaty goodness. In 2019, the event will once again hold the Business and Opportunity Networking Day (BONDay) on 25 February. The day includes The Event Greening Forum’s AGM, and a Hidden Gems: SMME’s Training Session. The ICCA Meetings Africa Association Day will also take place on the 25th, as well as several educational plenary sessions for both beginners and mature industry professionals. On Tuesday the 26th, SITE will host an educational seminar, and the Tourism Grading Council of SA will also launch their latest accolades for the industry. At 9:30am, the exhibition will be officially opened and the Minister of Tourism will do an official walkabout of the exhibition floor. The afternoon sees a Business Talk panel discussion take place. This will cover key business event matters in Africa, while later that evening the Green Stand awards will be presented. On Wednesday the 27th, the Women in MICE breakfast will take place, as well as a second and third Business Talk panel discussion. last, but certainly not least, Meetings Africa will host Bid Party Wrap Up panel discussion before closing the event. The IMEX-MPI-MCI Future Leaders Forum Africa will take place once again on BONDay. Over 120 forums have taken place around the world since its inception with over 6 500 students participating to date. The forums encourage students to showcase their ideas and talents based on a fictitious brief. It also covers topics like sustainability, technology, and social media, online and offline networking, and business event trends. Last year saw over 50 students from around SA take part. The winners of the Future Leaders forum will meet in Frankfurt in May 2019 where they will face one another for the grand prize of an MPI Foundation Student Scholarship Award at the IMEX Gala Dinner. The official Meetings Africa online diary is a centralised source of information for visitors, exhibitors and buyers, allowing one to schedule meetings efficiently. Delegates can effectively manage their time by targeting and setting up meetings with participants that match their profile, as well as track meeting confirmation and progress. The latest feature to this tool allows users to request their Top 10 matches according to their profile. Exhibitors’ diaries are also now managed through their unique name badge barcode. This means that as long as they are loaded as an attendee at the event, additional unlimited meeting requests can be made directly, quickly and with immediate effect. Meetings Africa has placed a huge focus on sustainability since 2011. From transport to energy, the show has gone the extra green mile time and again. With the help of the Event Greening Forum, organisers have purchased 8 000 Kilowatt hours of Renewable Energy Certificates to power Meetings Africa, book direct flights and a convenient choice of venue to eliminate the impact of travelling on the environment. Printing has also been reduced within the registration process through paperless contracting. Delegates are encouraged to put their greenest foot forward too, by drinking filtered tap water that is freely available, by purchasing a tree for only R130 to plant in a local community in partnership with Food & Trees for Africa, or to carpool to the event to alleviate traffic congestion around the venue – and reduce one’s carbon footprint. In addition, the Green Stand Awards will once again recognise the environmental and social efforts implemented by exhibitors at this year’s Meetings Africa. Click here to continue reading the latest Event Issue 01.